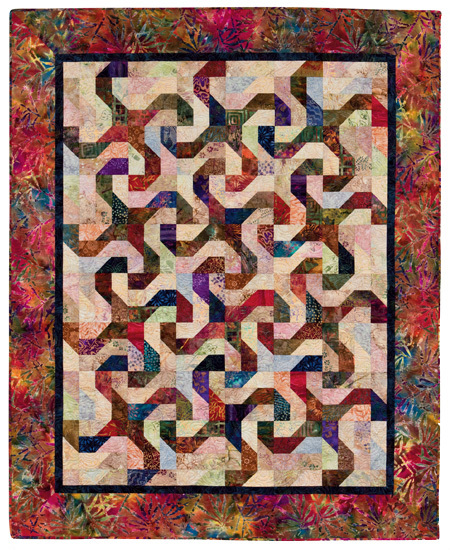 Got scraps? 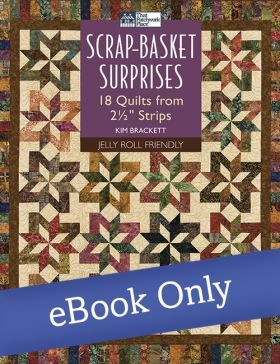 Find 18 projects, each made from 2-1/2" strips, in this 80-page book that includes ideas for using pre-cut strips, hosting a strip swap, raiding your scrap basket, and sorting and storing. 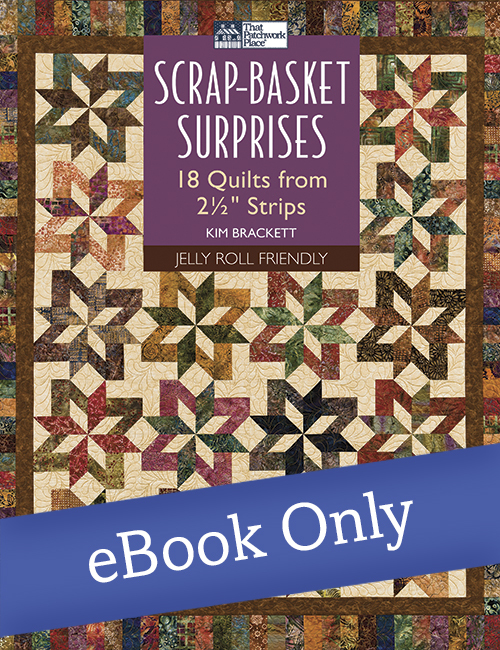 Scrap Basket Surprises features 18 quilts, all made from 2-1/2" strips, so this book is jelly roll friendly. 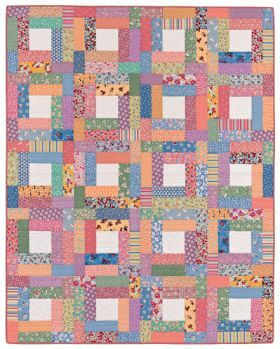 Kim Bracket teaches you how to make your own scrap basket of strips from using stash fabrics, pre-cut strips, strip swaps and new fabrics. 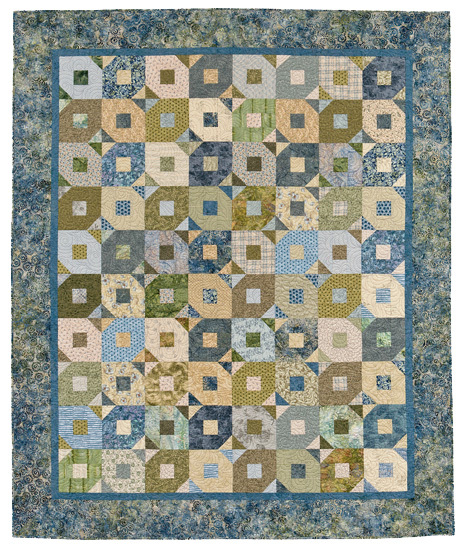 She also explains clever ways to sort and store the 2-1/2" strips you will be collecting for your projects in the book. 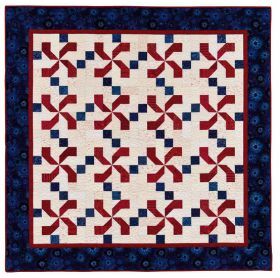 There are also basic quiltmaking instructions with wonderful graphics that are very easy to follow, which is important for us quilters. 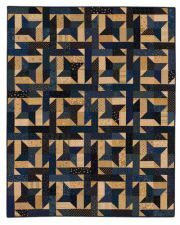 This is a great book for a beginner quilter but also is appropriate for any quilter who needs a weekend or retreat project. These are projects that will appeal to a range of styles, from country to contemporary, ‘30s to Americana and more. I chose this book for its variety. 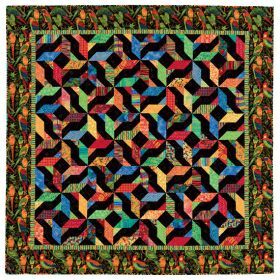 I won't buy a book unless I want to make several projects from it, and this book has many appealing quilts! 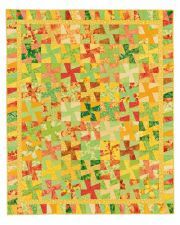 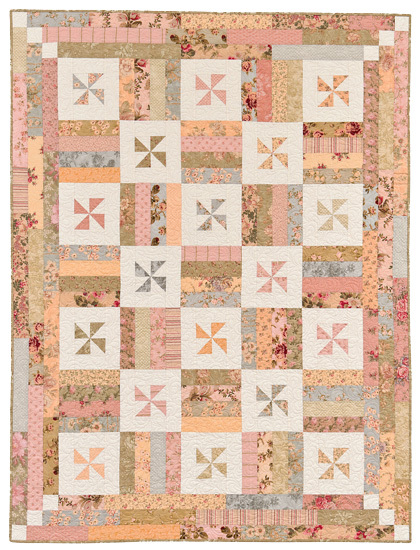 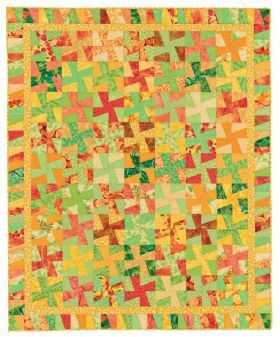 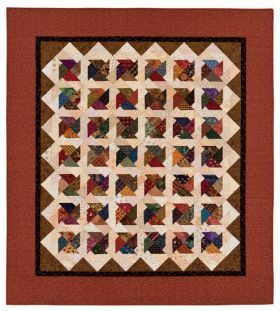 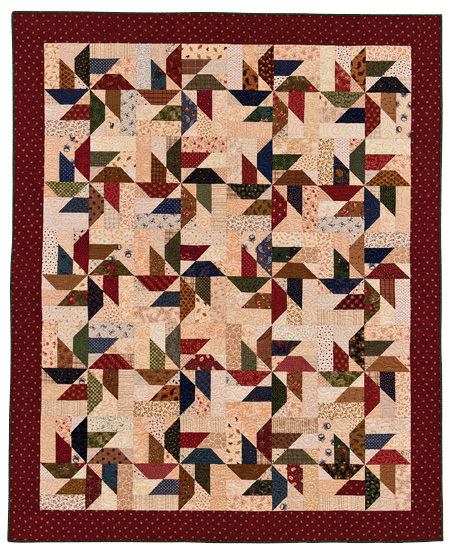 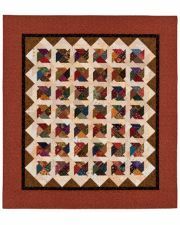 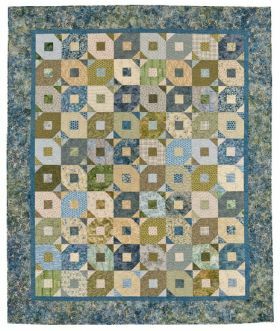 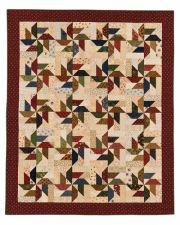 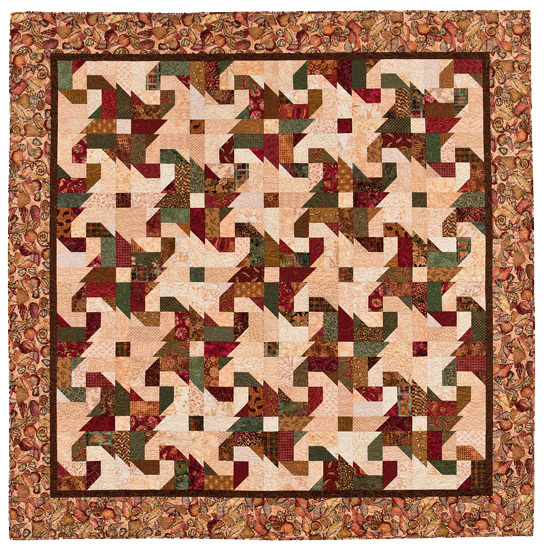 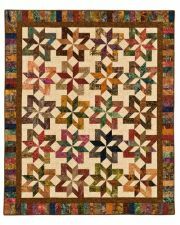 Kim Brackett’s Scrap-Basket Surprises: 18 Quilts from 2 1/2” Strips provides projects which can be used from a stash or precut Jelly Rolls, featuring easy triangle-free piecing in a range of fabrics for all quilting skills levels. 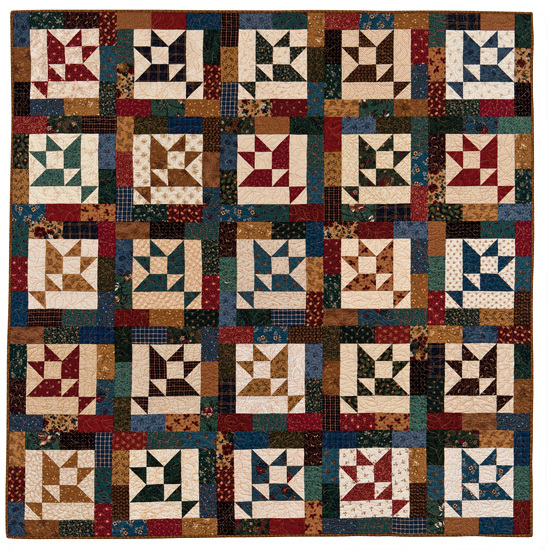 Sidebars of information accompany color photos and patterns for quick and easy use. 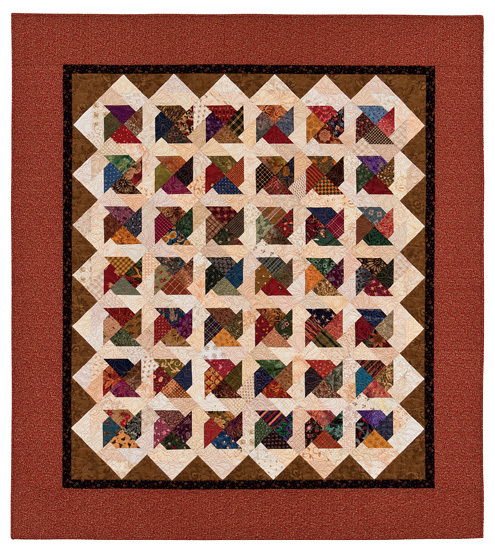 Perfect for any library strong in quilting options. All those pieces of left over binding (if you make yours 2 1/2 inches like I do) are just floating around waiting for this book. 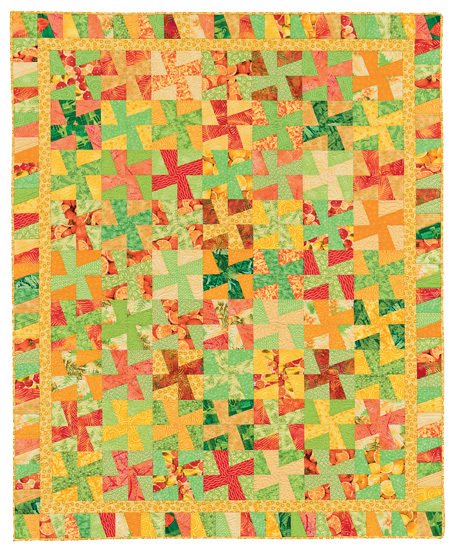 Each quilt is made from 2 1/2" strips. 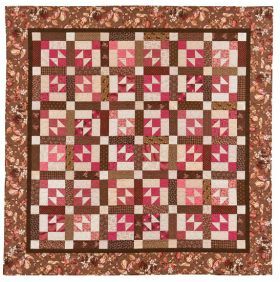 Of course, if you are a new quilter and don't have the "leftovers," you can always buy a jelly roll or cut your own 2 1/2" pieces from yardage. 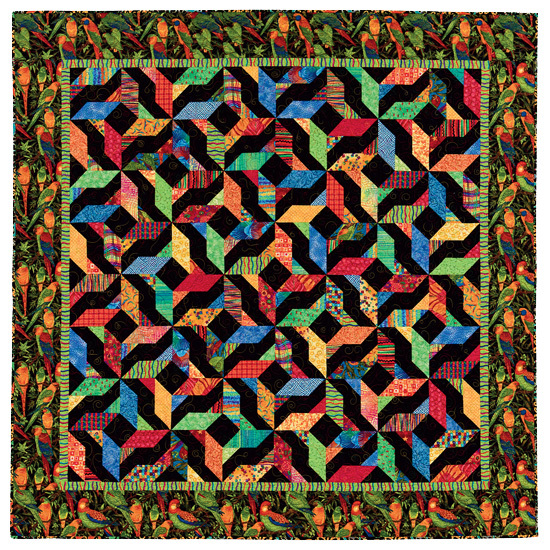 Eighteen quilts will give you lots of choices to make. 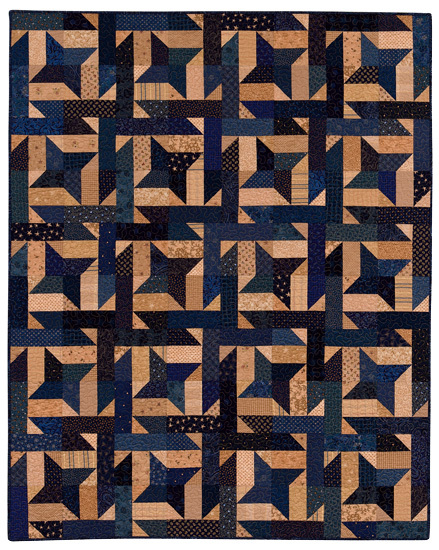 But before the instructions, there are 14 pages of general information to get you started on the right track. 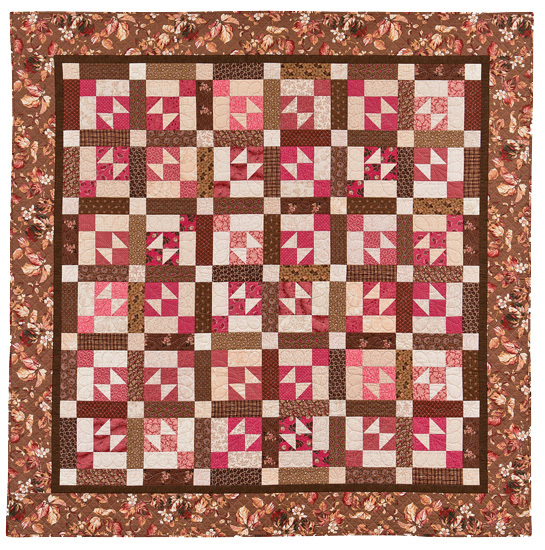 Each project shows a color photo of the finished quilt complete with finished block and quilt size. 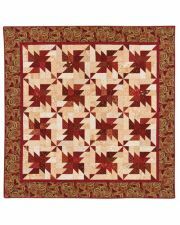 Material and cutting lists show you what you need to have material-wise plus what size to cut it into. 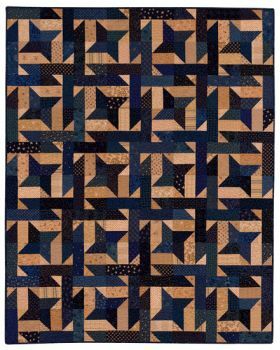 Block assembly has plenty of graphics to make sure you are on the right track and there is another graphic showing how to assemble the quilt. 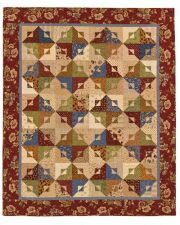 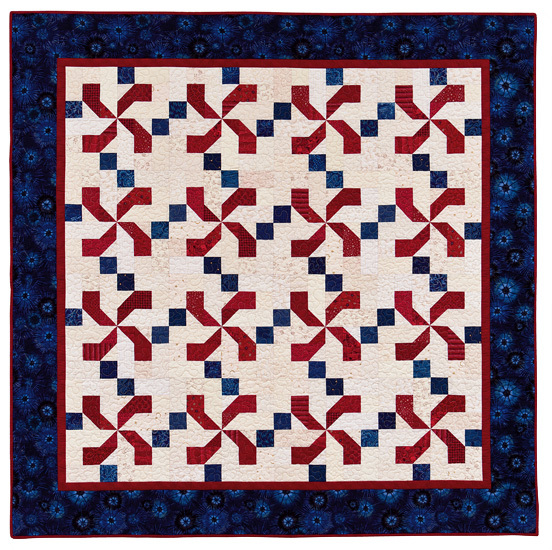 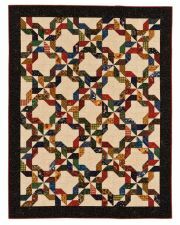 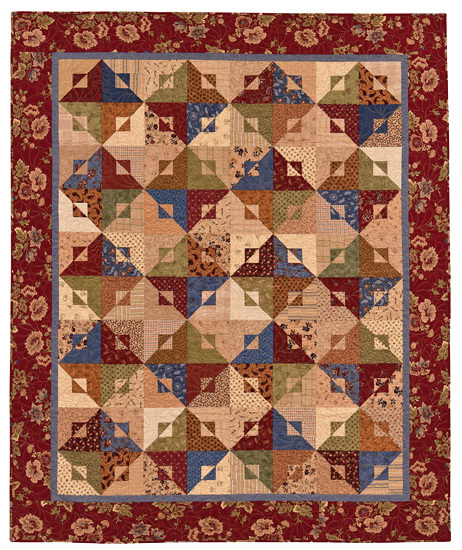 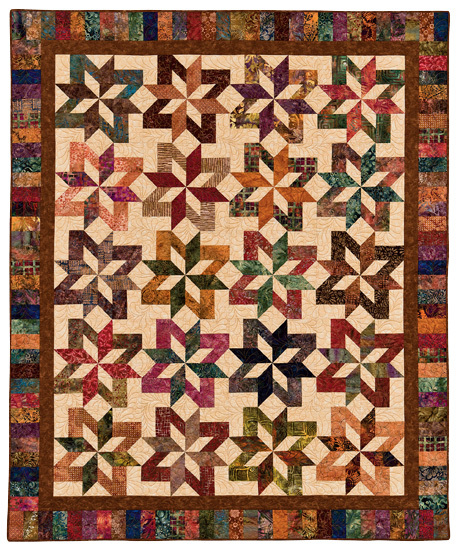 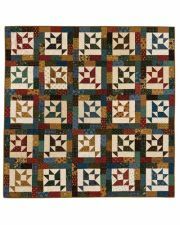 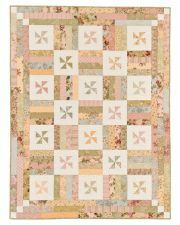 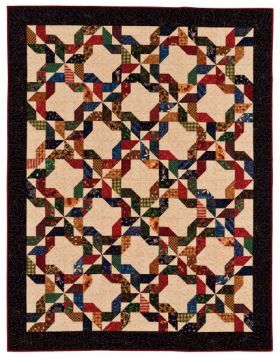 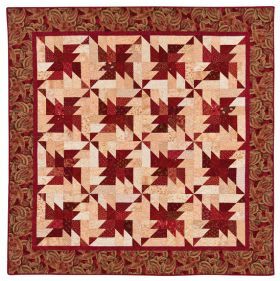 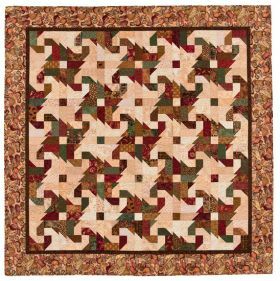 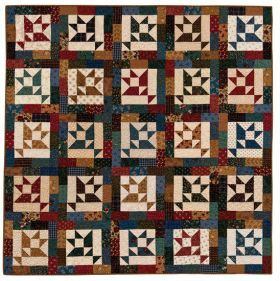 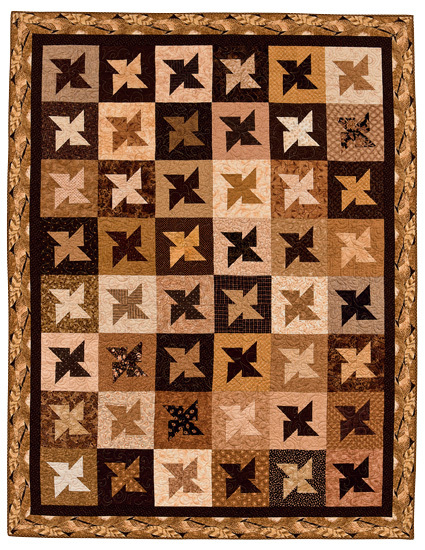 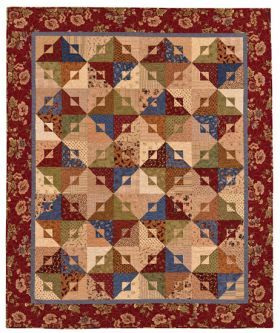 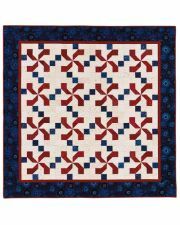 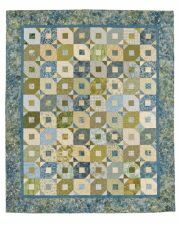 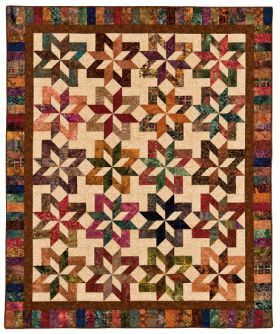 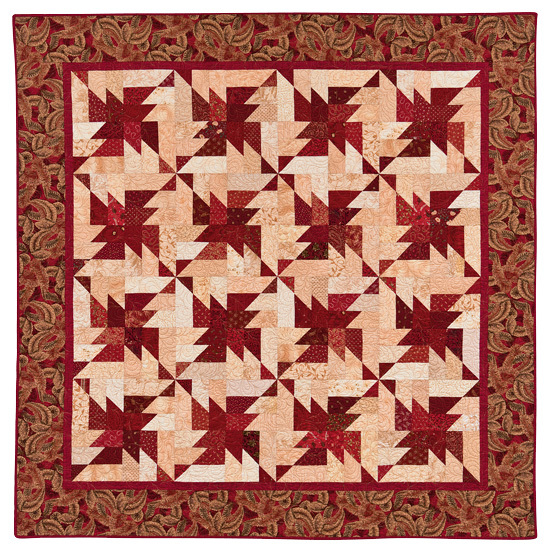 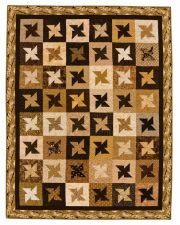 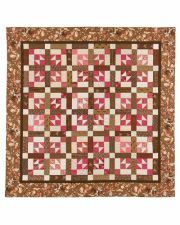 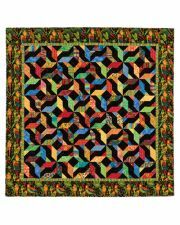 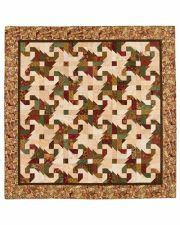 Quilt as desired is the only given instruction for quilting.The block types are varied and are very straight forward to sew. 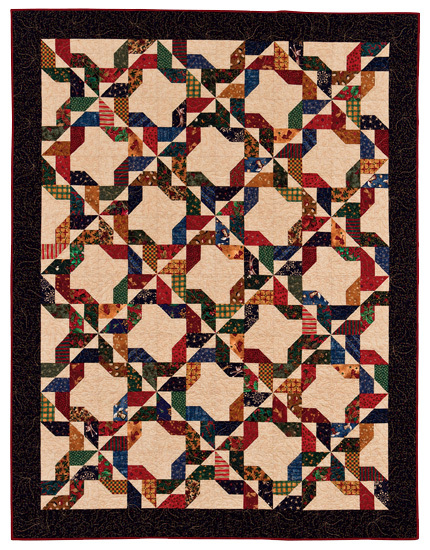 No curves here. 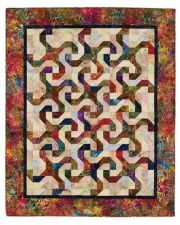 Grab a copy and start using up all those lonely scraps.